The new 6 - 8 bedroom pool homes average nightly rental rates are around $310 a night. Like the home shown to the right. The running costs for one of these energy efficient homes are under $25k annually based on 50% occupancy. Running costs include everything but a mortgage. home owners association/ resort dues, property taxes, property insurance with a $1.5 mil umbrella policy, room & board taxes, grounds maintenence, marketing of the home, check ins, check outs and routine home maintenence such as changing A/C filters, light bulbs and battery replacement. These people need a place to sleep. Use the home whenever you like, rent it when you're not here. You own the land fee simple while enjoying these resort ameneties. We are here for you during and after the sale. dropped off at your home for free! Make an office appointment to meet Jane or Alan.. The relationship between a home buyer or seller and their Realtor is based on trust, shared goals and understanding. We strive to continually improve and to do this we listen and take the needs and wants into consideration. these 2 Realtors have over 25 years experience in the vacation district. -they will be happy to share with you why. this will sound hard to believe but it's true, you will get the same deal with jane and alan as you would get from the builder direct because of appraisal value. appraisal values are based on recently sold properties in the same neighborhood. if the builder reduces the price below appraisal value it would affect their pricing for future sales for those buyers who need a mortgage. the sales people at model homes work for the builder and can only sell their product. the average builder has between 6 - 12 floor plans in each community. jane and alan can take you to all 7 of the recommended builders giving you the ability if you have the stamina to see 42 - 84 different floor plans with pricing to compare. jane & alan have a great relationship with the recommended builders, you don't pay us for our services, the builder pays us generously knowing our clients we bring them are special. the sales staff at all of the model homes are in casual mode when you are with jane or alan, if you don't like a certain resort or a floor plan of any builder just let them know and they'll take you to the next one. all of the builders sales staff understand jane & alan are no-pressure realtors with their clients, it's appreciated jane & alan bring their clients in to see what the builder has to offer. 10 year limited structural warranties from our recommended builders. save up to 30% on energy costs compared to an average same size existing home. radiant barrier roof decking reducing Florida heat abosortion. Energy Star appliances reducing utility and water costs. low emissivity windows that have a special coating that reflects infrared sunlight keeping the home cool while keeping the Florida heat outside. It's the # 1 family tourist destination in the world. 1 hour drive to the Atlantic Ocean beaches. 1.2 hour drive to the Gulf of Mexico beaches. Easy in & out international airport. Delta Airlines started daily service from Amsterdam to Orlando March of 2018. Estimated $80. Mil Annual impact. the average new 6 - 8 bedroom pool home rental gets $300-400 a night and the home sleeps from 12 -18 adults and children. Orlando has become the reunion and holiday hot spot of the US for family get togethers due to low air fares, Orlando's warm weather and family disbursed all over the country. For those families pool homes are the most affordable ranging from $22.22 - $25 per person a night at full occupancy. For the investor this means $54,600 - $72,800 gross generated income based on 50% occupancy. Running costs for new homes are less than $25k and includes everything except a mortgage. This is why there are so many who own for cash. Lets not forget about using your beautiful home anytime you like. 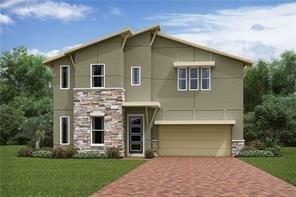 These new homes are minutes from Disney. an area that constantly re-invests in itself. Commercial construction permits came in at $4.8 Billion from January - May 2018 up 45% from last year this same time. new Toy Story Land arrived Summer 2018 and is a hit. with so much more on its way. all of our recommended builders work with banks and mortgage companies, some offer closing costs incentives if you use them. it's always wise to shop around, we have good lenders available to email or talk with directly. We have foreign national lenders as well.